Tickets to the 2019 NW Women’s Show in Tacoma, WA are on sale now! This year's show will feature everything from cooking to beauty products. You don’t want to miss it…even Mario Lopez will be in attendance! WSPC staff and commissioners will be exhibiting at the show. Come check out our booth and see what “spin to win” is all about! Plus, you don’t want to miss Chef Kirsten Helle, she will be teaching attendees how to make Crispy Potato Taco Bowls with Mesa de Vida Latin Cooking & Seasoning Sauce at 2:30 pm on Saturday and 11:30 am on Sunday! Chef Kirsten Helle Sandoval is the founder of Mesa de Vida Healthy Global Gourmet. Mesa de Vida is proud to be a 100% woman, minority owned and operated family food business. Kirsten is a personal chef to professional athletes and high profile clients and has worked for several of our local Super Bowl and WNBA Champions. 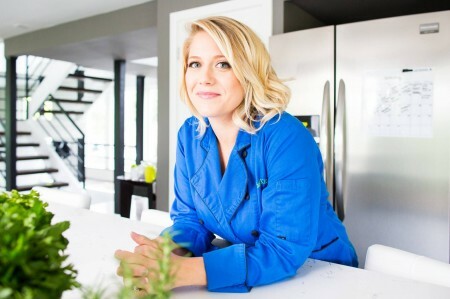 Kirsten has been on The Food Network, and the cover of Woman's Day and Woman's World magazines, sharing her passion for healthy cooking, and her inspiring story that started with her setting out to create a healthy family legacy, and accidentally to losing over 100 pounds. Mesa de Vida healthy global gourmet cooking and sauces are Whole30 Approved, versatile, 100% real food cooking sauces that are here to make it easy for you to cook healthy, exciting meals at home more often. Come check out our booth on March 9th and 10th, you won't be disappointed!